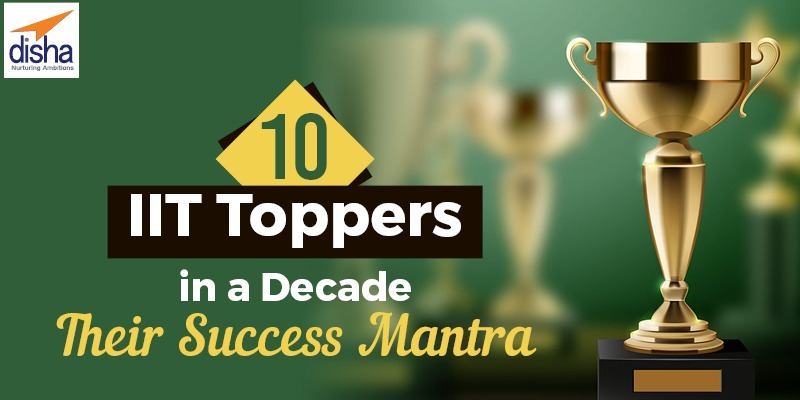 Toppers are the greatest inspiration in the pursuit of excellence in academic life. Learning the success mantra of the most intelligent IIT topper will win you the success you desire. To make the task of finding easier, here is a list of IIT JEE toppers, to learn and emulate their roadmap. Explore the IIT JEE toppers list year wise and take confidence with you in your preparation. Background: He hails from Chandigarh. He is the son of Pankaj Goyal and Mamta Goyal. He is an avid reader of Indian Mythology, and and read books as a stress buster. Education: He did his coaching from Sri Chaitanya Institute in Chandigarh. Giving adequate amount of focus will help a lot. So be calm always, be focused, & maintain your balance. Pin your faith on the teachers and on their able guidance. Nothing works better than solving past year question papers. He used to study five hours every day for the syllabus. Clear conceptual clarity helped lot. Education: Student of Bhavan Vidyalaya School secured 339 marks in JEE Advanced 2017 and bagged an AIR 55 in JEE Main 2017. Secret to success: According to him, Amir Khan’s 3 idiots and the dream to study engineering from one of the top engineering institutes of India motivated him to pursue engineering. Background: He is from Jaipur. Two mantra: Self-Belief’ & ‘Regular study’. Participation in group discussions the main reason behind his success apart from ‘Self-belief’ and ‘Regular study’. Doubts ought to be cleared immediately in the classes. Future Dreams: Aman Bansal wants to become a Computer Engineer. He did not really follow any strict study routine. Kept it simple. He worked on the areas he was weak in and focused on strengthening my strong areas. Revise what is taught in the class, do the home works. Took part in lot of mock test- time management skills acquired/ error rectification/ give boost to confidence whilst scoring well in mock test. Heenjoys solving Sudoku. It is relaxing and also helps stimulating the brain. Future Dream: He wants specialization Computer science. He gives importance on last days study and the minds should be relaxed and stress free before exam. Curiosity of exploring the facts, fundamentals and concepts helped in the basic understanding of the subjects. It plays the key role in the exam. Regular study is very important for the success in this exam, and gives emphasis on revision of the coaching materials in the same day. Studied in the slot of 3 hours as the exam is of 3 hours. On Coaching or self-preparation: Coaching helps students in creating the environment and the motivation to go through the whole syllabus. Coaching helps the students in resolving their doubts of the chapters. Self-preparation is useful if the candidate creates this environment and resolves the doubts by own effort-coaching is not necessary. Background: Native of Dwaraka Tirumala in West Godavari district of Andhra Pradesh. Even before 2014 placements started, he secured an international job offer at Samsung in South Korea. He even won silver medal in International Physics Olympiad. Prudhvi too won Aditya Birla Scholarship at IIT Bombay in the same year.